Nestled on a private estate near Plettenberg Bay, this hotel is just a short drive from Keurbooms River Nature Reserve, making it a great base for exploring the region. Easily accessible via route N2, NH Plettenberg Bay welcomes you to enjoy lush green surroundings in combination with comfortable accommodations. Spend your day improving your golf skills on one of the nearby golf courses or soak up the sun on a lounge chair next to the pool. Modern African décor and imported furnishings make each of the guest rooms a cozy retreat. Read a book on your comfortable bed or in front of the fireplace in winter. Room service and other facilities complement your stay at the NH Plettenberg. Genuine South African hospitality also awaits you at Ilanga Restaurant, where you indulge in delicious meals and wines for lunch and dinner. This family-run guesthouse is just a short walk from Robberg Beach. It has an outdoor pool and patio area. 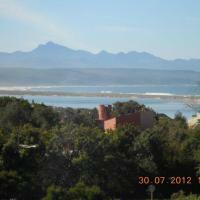 Many of its rooms have views of Plettenberg Bay and the mountains. All Halcyon House’s rooms are decorated in pale colors and large windows offers plenty of natural light. All feature Queen or larger beds, satellite TV and bathrooms with either a shower or bathtub. Guest can relax in Halcyon’s lounge area, play pool or enjoy a drink at the private bar. Boogie boards, towels and umbrellas provided for trips to Robberg Beach. A full English breakfast is served each morning on the patio area by the pool or on the sunny north terrace. 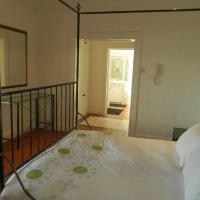 This small guesthouse is also within a 5-minute drive of restaurants in Plettenberg. Secure garage parking is available for all guests. Boasting panoramic views of Plettenberg Bay and adjoining Keurbooms Nature Conservation Park, this luxurious apartment is the ideal base to explore the regions many attractions. Discover the beauty of the Knysna forests and Robberg Peninsula. Alkantmooi features helicopter landing facilities and is well-positioned to ensure you easy access to world famous beaches and the Garden Route. Enjoy, after a day full of activities, a traditional braai BBQ with friends or family. The apartment has beautiful views from all bedrooms and includes a covered wooden deck with a pool table. Relax in the comfort of the open-plan lounge or cook a delicious meal in the fully-equipped kitchen. The attentive staff will not only ensure your privacy but is also happy to book day trips or special activities for you. Situated in a residential area but only 7 minutes walk to the famous golden sands of Robberg Beach, Cornerway House offers charming accommodation and the care of attentive hosts. Cornerway is decorated with a Colonial flavour. Relax in the pretty garden where you can read and unwind after spending out on the nearby beaches. Rooms include en suites, free 24-hour Wi-Fi internet access, TV, bar, fridge, and tea and coffee making facilities. In summer, a full English or continental breakfast is served on the covered verandah, which overlooks the swimming pool, or in the dining room. In winter guests have breakfast by a roaring log fire. Aside from the beach, other nearby attractions include Plettenberg Bay and Plettenberg Bay Golf Course. In Plettenberg Bay, this intimate guest house features a small plunge pool in the garden. Offering individually decorated rooms, it is a 5-minute drive from the Indian Ocean. Wi-Fi and parking are free. All the spacious accommodation at La Boheme offers a fridge, kettle and fan. All the patios are furnished. Top floor rooms offer bay and mountain views. Breakfast is served in the dining room for B&B guests. The self-catering rooms and apartment offer a barbecue and kitchenette with microwave and fridge. There are 3 shopping malls and a variety of restaurants serving local and international cuisine within a 5-minute drive. La Boheme B&B and Self Catering has a lounge with fireplace. Seasonal whale watching trips depart from the beach, 1 km away, and Robberg Nature Reserve, with its hiking trails, is within a 15-minute drive. An airport shuttle is available on request from George Airport, 1.5 hours’ drive away. Located just minutes from the white sandy beaches of Plettenberg Bay, along the famous Garden Route, this luxurious guest house radiates an intimate atmosphere. Thanda Vista offers guests a unique home away from home. Watch whales frolic in the bay while you enjoy a full English breakfast. Three of the 5 guest rooms boast fantastic sea views, with the remainder overlooking the garden area. With Keursboom Lagoon only 300 metres from Thanda Vista, guests can participate in numerous water sport activities. Explore the area either by foot or canoe. After a long and active day you can marvel at the sunset from one of the rooftop terraces or read a book in your cosy guest room. The Plettenberg is a 5-star Relais & Chateaux hotel, located on a rocky headland in the heart of The Garden Route. It offers 2 infinity pools and a stylish restaurant. All 37 individually decorated guest rooms are equipped with a spacious private bathroom and a TV with DVD player. In addition, every room offers a refrigerator, a hairdryer and a telephone. Guests can spot dolphins and whales, and enjoy breathtaking views of the sea and mountains. The Plettenberg offers a wide range of treatments at Carchele Beauty Spa. There are several golf courses within 2 miles of the hotel. Sandbar, an informal yet sophisticated cocktail bar, is a relaxing spot for an evening drink and Sand at The Plettenberg serves serving progressive South African cuisine inspired by the Mediterranean, while providing panoramic views of Formosa Bay. Surrounded by indigenous gardens, a haven for bird watching and nature enthusiasts, this 3-star establishment offers self catering accommodations not far from the golden beaches of Plettenberg Bay. Consisting of three units in two adjacent houses, Treehaven ensures tranquility and privacy. Watch pairs of Knysna Louries nest and feed together from the comfort of your patio, or take a walk through the grounds. With the center of town only five minutes away, you can enjoy a vacation packed with many fun activities. Each of the units is spaciously laid-out, adding to the overall feeling of luxury and serenity. Plan your stay with the help of the attentive staff. At your service 24 hours per day, they are happy to inform you about the best restaurants in town or the region’s numerous places of interest. Bella Manga Country House is surrounded by the Tsitsikamma Mountains. It features a saltwater pool and heated outdoor hot tub. The golden beaches of Plettenberg Bay are a 25-minute drive away. Rooms and cottages at this elegant country house are set amongst acres of landscaped gardens. Traditional, round Rondavel houses are available, as well as cottages with self-catering kitchens. Guests can enjoy a refreshing drink in the Manor House Bar & Cocktail Lounge. The Fire Pit in the garden also offers a unique setting for enjoying aperitifs and a traditional braai barbecue. A variety of hiking and walking trails cover Bella Manga, and small game and birds can be often be found. For those who wish to explore further, quad and mountain bike hire can be arranged. Additional facilities include free Wi-Fi in the business centre, secure private parking and a helipad. Boasting a stunning cliff-side location, this exclusive hotel is tucked away on a private nature reserve near Plettenberg Bay and combines excellent service and food. Whether you are looking for a romantic retreat or hope to get from the hustle and bustle of everyday life, Plettenberg Park Hotel offers award-winning accommodations all year around. Marvel at panoramic views of the ocean and lake while swimming in the infinity pool. After discussing your dinner options with the chef, you can enjoy a picnic on the hotel’s private beach. The interior of the hotel reflects today’s trends and impresses with its mix of earthy tones and contemporary furnishings. Relax in front of the log fire or treat yourself to a long, hot bath overlooking the Indian Ocean. At Plettenberg Bay Hotel the attentive staff will plan your stay around your every wish, ensuring a truly memorable vacation. Located in a tranquil area of Plettenberg Bay, just a short walk from scenic Robberg Beach, this family-run lodge presents guests with an exceptionally comfortable home away from home. Offering free on-site parking, Sea Breeze impresses with its private atmosphere. Enjoy breakfast on the pool deck or in front of the fireplace in the dining room. Two of the suites also include a fully equipped kitchenette. Each of the guest units is decorated in light shades. Soak up the sun on your very own patio or grab a beach towel and head down to the beach for a swim in the ocean. White Percale linens and extra-long beds complement each of the suites. Sea Breeze offers a unique, professional high quality service in the comfort of your vacation surroundings. The Sea Breeze also offers in-house spa and beauty treatments. Allow yourself some quality pampering time in a tranquil environment and enjoy professional beauty treatments by a qualified therapist (available upon request). Boasting panoramic views of Bahia Formosa Bay and the Tsitsikamma and Outeniqua Mountains, this charming guesthouse is a great base during stays in Plettenberg Bay. Decorated in soft, earthy tones, Aquavit Guest House radiates a welcoming atmosphere. Start the day with breakfast on the terrace and marvel at stunning views of the Indian Ocean. Afterwards, you can enjoy a swim in the rim-flow pool or treat yourself to a professional massage. Thanks to the small number of rooms, guests are ensured personal service at all times. Relax in the comfort of your room or in the spacious guest lounge. Packed lunches and free wireless internet are available upon request and ensure a truly hassle-free stay at Aquavit. 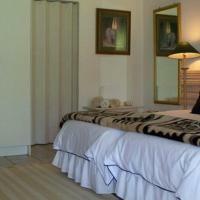 This colonial-style bed & breakfast in Plettenberg Bay offers direct access to Robberg Beach. It features panoramic views of the ocean and Tsitsikamma Mountains. Free Wi-Fi is available. The 4-star Southern Cross Beach House offers airy rooms with modern furnishings. Each room overlooks the grounds and offers a TV and a private bathroom. Some rooms also include a spacious sitting area with a sofa bed. In the mornings, a full English breakfast is served on the porch, which overlooks the ocean. An honor bar with refreshing drinks is also available. The Southern Cross has a lush garden with lounge chairs, where guests can enjoy whale and dolphin watching. The bed & breakfast also offers a cozy lounge with a fireplace for colder days. The Cross Beach is 2.5 miles from central Plettenberg Bay and offers free private parking. Just 1 km away from the centre of Plettenberg Bay, this guest house offers spacious rooms with free Wi-Fi. Bosavern features an outdoor pool with panoramic views of the surrounding mountains and sea. Bosavern Guest House has elegantly decorated rooms with wooden furniture in white colours and tiled floors. Each room has a satellite TV, an electric kettle and a patio. You can start your day with a rich breakfast buffet served on the lovely terrace. Packed lunches are also available. Set on a cliff, the guest house offers spectacular views of the ocean, the pristine white Robberg Beach and Robberg Nature Reserve. Guests can relax on the sun loungers and enjoy the view. You can also choose from a variety of activities, including boat cruising, hiking, diving and snorkelling. Central Beach and Robberg Beach are only 2 km away. George Airport is 90 km away, and the guest house offers free private parking on site. Located along the Plettenberg Bay Garden Route, this 4-star lodge offers stylish accommodations with free Wi-Fi access and bathrooms with underfloor heating. Robberg Nature Reserve is 3 miles away. Christiana Lodge offers spacious rooms with elegant furnishings, including custom-made beds and porcelain fittings. Bathrooms have an enamel-coated steel bath and offer stunning views of the wetlands. Guests can enjoy South African and international cuisine on the patio with views of the swimming pool and surrounding wetlands. Christiana Lodge is 5 miles from the Goose Valley Golf Club. It is a 5-minute walk from Robberg Beach. Santini Lace is an elegant self-catering apartment just a 10 minute walk from the beach in Plettenberg Bay. Its patio doors open onto grounds with an outdoor swimming pool. The Santini Lace Self-catering Unit has tiled floors and is equipped with an open-plan lounge and dining area. All rooms have a TV with DSTV channels. The apartment also has full self-catering faculties, including a stove, microwave and refrigerator. There are barbecue facilities on the grounds where guests can enjoy a traditional braai bbq. Daily breakfast and packed lunches are available upon request. Santani is in an ideal location for exploring the Garden Route, and packed lunches are available upon request. Plettenberg Bay Golf and Country Club is less than 2 miles away. Plettenberg Bay Airport is 6 miles from the apartment. Free covered on-site parking is available. The Luna Lodge is situated on a coastal hillside 400 metres from Plettenberg Bay and is a 10-minute walk from the Poortjies Lagoon. It offers spacious guestrooms with fully equipped kitchens. Rooms at the Luna Lodge Plettenberg Bay have balconies with views of the Outeniqua Mountain Range and Indian Ocean. Rooms include modern furnishings and are decorated in neutral colours. Some rooms feature a spa bath. The Lodge is less than a 5-minute drive from restaurants serving international and regional cuisine. Nearby leisure activities include bungee jumping, hiking, and whale watching. Luna Lodge Plettenberg Bay is less than 3 km from Turtle Creek Golf Estate and is a 15-minute drive from Whale Rock Beach. It also offers free on-site private parking. Ohannas offers self-catering accommodations one mile from Plettenberg Bay’s central beach and in the midst of gourmet restaurants and boutiques. It features a palm-fringed pool and traditional braai barbecue facilities. Fitted with modern furnishings in a European style, rooms at Ohannas BnB & Self Catering are spacious and bright. They all include satellite TV channels, tea/coffee making facilities and some come with deluxe jacuzzi bathrooms. Most rooms include fully equipped kitchens for guests to cook their own meals, and provide a dining area as well. Free Wi-Fi access is available in the hotel’s business center and on the outdoor porch. Nearby attractions include South Africa’s popular Garden Route. Ohannas BnB is an ideal base from which to discover the natural beauty of the Western Cape Province. Free private parking is available on site. These sunny, self-catering apartments are perched on a hill facing Robberg Ridge. Each has a fully equipped kitchenette and a balcony with views of the Indian Ocean and peninsula. Elegant furniture and a light décor define each of the Beyond the Blue apartments. All are equipped with a modern bathroom, satellite TV and safe. The Solar and Beacon Isle Beaches are a 7 minutes’ drive away from Beyond the Blue Apartments. Restaurants and shops can be found within a 5-minute drive. Free private parking is provided on the property. Guests can make trips to Plettenberg Bay Central, 4 km away and Knysna heads, 33 km away. Situated 10 km away of Plettenberg Bay town centre, on the banks of the Keurbooms River, this lodge offers self catering apartments with balconies. It features an outdoor pool and a tennis court. Keurbooms River Lodge 1115 has individually decorated apartments with traditional wooden furniture. Each apartment has a fully equipped kitchen and a flat-screen satellite TV. You can relax in the manicured gardens overlooking the mountains and the river. Younger guests can use the playground with the jungle gym and the sand-pit. Barbecue facilities are also available. George Airport is 88 km away and the lodge offers free public parking. Set in 15 acres of countryside with views across the valley, Piesang Valley Lodge is 1.4 km away from the beach. This 4-star lodge features an outdoor pool and barbecue facilities. Piesang Valley offers elegantly decorated rooms with traditional wooden furniture and parquet floors. Each room has a satellite TV and a balcony overlooking the valley. Guests can start their day with a breakfast buffet, before relaxing in the garden. You can take part in horse riding, sky diving and whale watching. The lodge is also close to 5 golf courses, including Plettenberg Bay Golf and Country Club, and Gary Player’s Goose Piesang Valley Lodge offers free private parking on site. 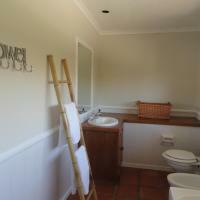 Twilight Cottage is a bright and spacious self-catering unit located in Plettenberg Bay. It features a private deck opening onto a garden, free Wi-Fi and free parking. The modern Twilight Cottage is decorated in white tones and has a large open-plan living room including a TV with digital channels. Its bathroom has a separate bathroom and a shower and includes free toiletries. Guests can prepare their meals in the fully equipped kitchen, which includes a dining area. The garden also offers a typical braai barbecue, allowing guests to enjoy outdoors meals. It is situated close to the Market Square Shopping Centre, and less than 10 minutes’ drive from the town centre and the beaches. Located along South Africa’s Garden Route, A Whale of a View Bed & Breakfast offers panoramic views overlooking Plettenberg Bay. The outdoor pool is surrounded by a furnished sun terrace. The beach is 5 minutes' walk away. Featuring a private entrance, all spacious suites feature free Wi-Fi and a satellite TV. Some suites have extra-long beds and a furnished balcony with bay views. The bed and breakfast has a shared kitchen and barbecue facilities. A freshly prepared buffet breakfast can be enjoyed from Whale of a View’s private patio. Guests can relax in the communal lounge featuring couches set around the fireplace. Bicycle rental can be arranged to explore Plettenberg Bay. Plettenberg Bay Airport is 15 minutes’ drive away. A shuttle service can be arranged. The entrance to Robberg Nature Reserve is only 15 minutes’ drive by car. Bahari offers bright rooms with a kitchenette, just 200 metres from Solar Beach, All rooms open onto a patio with a barbecue. 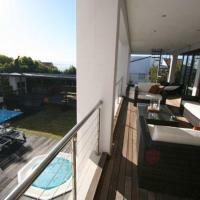 It also has an outdoor pool surrounded by a garden and sun-lounger terrace. The spacious rooms include a seating area with a satellite TV and DVD player. The kitchenette comes with a microwave, and all have a bathroom with underfloor heating and luxury towels. Each is individually decorated and fitted with a ceiling fan. Robberg Nature Reserve is 5 km from Bahari Beach House, where guests can watch whales in the bay. They can also cycle through the surrounded Garden Route forests. Overlooking the Keurbooms River lagoon and the Indian Ocean, Milkwood Manor is located on the shores of Plettenberg Bay. It has direct access to the beach and offers a bar and a restaurant. All rooms feature tea-and-coffee-making facilities, a TV, hairdryer, heater, fan, electronic safe and free Wi-Fi is available throughout the Manor. With two lounges, one at ground floor level and one upstairs there is ample space for relaxation. A full English and continental breakfast is served exclusively to the Manor’s guests on the terrace of the Lemon Grass restaurant. Free kayaks are offered by the property to explore the lagoon. The area is a good spot for fishing lovers. During the season, it is also possible to see whales and dolphins in the surroundings. The Robberg Nature Reserve is 10 km away and the Tsitsikamma Nature Reserve is 30 minutes away by car. Port Elizabeth is 230 km away. Panoramic Blue B&B offers uninterrupted views of the Indian Ocean, the lagoon and Tsitsikamma and Outeniqua mountain ranges. Free Wi-Fi access is available throughout the hotel. Each of the rooms is filled with natural light and opens out onto a balcony with views. The rooms feature large windows and white washed furniture and walls. When in season, the bay is home to dolphins, seals and whales which can be watched from the beach, 2 km from the property. Guests can relax in the lush garden or on the Plettenberg Bay Country Golf Course, 3 km away. Breakfast is prepared daily at Panoramic Blue and the local restaurants and shops are within a 2 km walking distance. The city centre is only 1 km away. Free private parking is available on site. George Airport is within a 110 km drive. Featuring villas surrounded by green gardens, 30 The River Club is located in Plettenberg Bay, 500 metres from the beach. It offers a swimming pool, a tennis court, and free parking. The elegant villas at The River Club have 2 fully equipped bathrooms and an open-plan lounge. They are composed of 1 double bedroom, 1 twin bedroom, and a garage converted into a bedroom with bunk beds. Guests can prepare their meals in the privacy of their own fully equipped kitchen. Shops can be found right across the street. Typical braai barbecue facilities are also available. 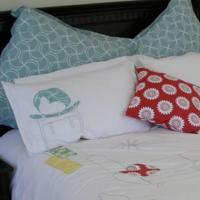 Guests have a wide range of facilities, including a children’s playground, gym, and a laundry. Robberg Beach is just 2 km away whilst the Robberg Mountain is 5 km away. 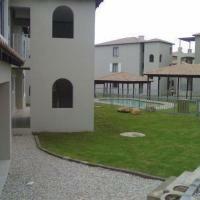 The property is located 37 km from Knysna and 40 km from the famous Garden Route. Set in a private and peaceful setting in Brackenridge, guests at these self-catering houses can sunbathe on the spacious decks or beside private outdoor pools. The beach is a 10-minute drive away. The Self at Plett houses are modern and feature open-plan lounge and dining areas, with panoramic views of the countryside. They are decorated in pastel colours and have large windows letting in plenty of natural light. Each has a private bathroom. Meals can be prepared in the kitchen, equipped with a microwave, washing machine and dishwasher. In the evening, guests can watch the sun set over the ocean whilst enjoying an outdoor barbecue. The Plettenberg Bay Country Club is 5 km away and Plettenberg Town Centre is a 10-minute drive from the Self at Plett Houses. George Airport is 90 km away and free private parking is available. Located in Plettenberg Bay and a 2-minute walk from the beach, The Robberg Beach Lodge offers luxury accommodation with Indian Ocean, garden or Robberg Nature Reserve views. 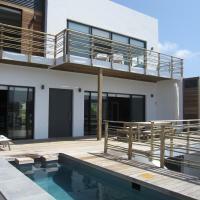 It features 2 outdoor pools, a sun terrace and a braai area. The stylish, air-conditioned rooms come with a veranda and feature contemporary furnishings and earthly coloured walls. Each room is equipped with a flat-screen TV, fridge, wardrobe and a private bathroom with free toiletries. Some rooms have wooden beamed ceilings and wooden parquet floors. A buffet breakfast is served daily and the bar serves a variety of beverages and local wines. Several restaurants, galleries, cafés and bars are located in Plettenberg Bay, a 5-minute drive away. The Robberg Beach Lodge is located in the heart of the Garden Route. Robberg Nature Reserve and Goose Valley Golf Course are a 10 minutes’ drive away by car. Free private parking is available on site. Ocean View Villa in Plettenberg Bay features expansive Indian Ocean views. The beach is just a 10-minutes’ walk away. Guests can relax at the pool and hot tub. All air-conditioned rooms are individually decorated with modern finishes and include a satellite TV. Most rooms come with views of the Indian Ocean, and some rooms offer garden and pool views. Free Wi-Fi is available at Ocean View. Guests can make use of the spacious gym, which includes cardio and weight training equipment. The open plan kitchen is built around a Japanese grill, that seats 6 people. The kitchen contains a double oven with a six place gas burner, including a ‘wok’ stand. A large, furnished wooden deck overlooks the pool and summerhouse, which provides barbecue and dinning facilities. Free private parking is available on site, and the Plettenberg Bay Airport is a 14-minute drive away. Situated in Plettenberg Bay, Plett Beachfront Accommodation offers dormitories and private rooms only a short walk from Central Beach. The tour desk can help guests organise activities such as whale watching, fishing and canoeing. Each of the rooms is individually decorated and the private rooms feature a bathroom with free toiletries. They are cooled with a fan and come equipped with a flat-screen TV. Guests can relax in the lounge and bar or enjoy a meal in the restaurant next door. Other local restaurants are available within a 500-metre distance. 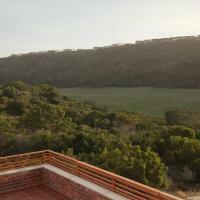 Guests can explore the Robberg Nature Reserve, only 8 km away. Two golf courses are available nearby, with Plettenberg Bay Country Club and Goose Valley Golf Estate both within 5 km. Free private parking is available and guests can enjoy a day trip to other towns on the Garden Route, such as Knysna, only a 35-minute drive away. 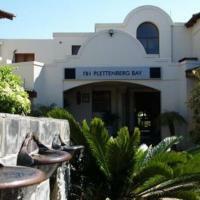 Bayside Lodge is situated 500 metres from Robberg Beach in Plettenberg Bay. It features a salt-water swimming pool and a tranquil garden with a patio. Free Wi-Fi is available at the lodge. Each of the elegantly decorated rooms features a garden view. It comes equipped with a satellite TV, a minibar and tea-and-coffee-making facilities. Every bathroom has a shower and free toiletries. Breakfast is served in the dining room or on the patio overlooking the garden and pool. A number of restaurants serving a range of cuisines can be found within 3km of Bayside. The guest lounge features a fireplace and under-floor heating, creating just the right setting to relax with a book. Beach towels, umbrellas and beach games are provided for guests to use during their stay. The Robberg Nature Reserve is situated 5 km from the property and the Plettenberg Bay Airport is a 9-minute drive away. Situated in the Solar Beach area of Plettenberg Bay, Sandbanks Beach House features a terrace with barbecue facilities and a salt-water swimming pool. Each modern room has a garden and sea view. It comes equipped with a microwave, coffee machine, fridge and tea-and-coffee-making facilities. A living room and dining area is included. Breakfast is available on request and a number of restaurants serving a range of cuisines can be found within 5 km from Sandbanks. Robberg Beach is a 5-minute walk from the property and Robberg Nature Reserve is a 9-minute drive away. Free-wired internet and private parking is available. The Plettenberg Airport is 5.4 km from the property. Plettenberg Bay Country Club is 7 km away. 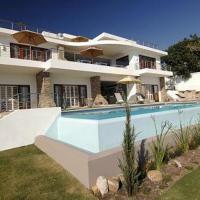 Gazania House is situated 250 metres from Robberg Beach in Plettenberg Bay. This 2-storey house features 2 entertainment areas and a swimming pool. The 4-bedroom house has a fully equipped kitchen, a lounge with a fireplace and a dining area. It includes a washing machine, dishwasher and ironing facilities. Guests can prepare meals in the comfort of their own kitchen and barbecue facilities are available. A number of restaurants serving a range of cuisines can be found within 3 km from Gazania. Attractions in the area include Robberg Nature Reserve 5.6 km away and the Elephant Sanctuary is a 7-minute drive from the property. Free private parking is available. The Plettenberg Airport is 5 km away and Knysna is a 30-minute drive. 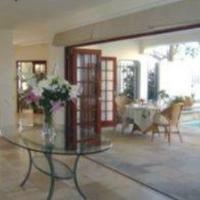 This Plettenberg Bay B&B is 1 km from the town centre. It offers free Wi-Fi, a terrace with a hot tub, along with an impressive view over the bay and Tsitsikamma Mountains. A garden-view patio is featured in all accommodation at Fairways Bed and Breakfast, as well as satellite TV and a private bathroom. Some have their own kitchenette and washing machine. During nice weather, guests can enjoy their breakfast on the terrace and dinner, on request. Fairways B&B also has BBQ facilities available. Area attractions include Tsitsikamma Forest and Storms River Mouth, while beaches, restaurants and shops are within 2 km. Hiking and cycling are other common activities. Grand Café & Rooms is set on the lookout side of Plettenberg Bay’s main street. It boasts spectacular views of the pristine beaches, Keurboom lagoon and the Tsitsikamma Mountains. Each room is individually and elegantly decorated. It comes equipped with a flat-screen satellite TV, tea-and coffee-making facilities and a fan. The private bathroom has a bath and shower. The Café dining room serves diverse cuisine and features a deck area, which overlooks the Indian Ocean. Breakfast, lunch and dinner are served in the Grand Café or on the deck. Guests can relax on the sun beds around the swimming pool, or enjoy the health and beauty salon on site. Attractions near by include Tsitsikamma National Park 64 km away and Knysna 33.3 km from the property. Free WiFi and private parking is available. The George Airport is a 30-minute drive away. With views of the Tsitsikamma Mountains, this guest house is just a 10-minute walk from Plettenberg Bay’s main street. It offers free Wi-Fi and an outdoor swimming pool in the garden. A patio or balcony is featured in all rooms at Mandalay Guesthouse Plettenberg Bay, as well as modern furnishings, a TV and bathroom with a shower. Breakfast is available on request, along with an airport shuttle service. Mandalay Guesthouse also has braai barbecue facilities and free private parking on site. Situated in the heart of the Garden Route, this property is just 2 km from a beach, the N2 National Road and the Keurbooms Lagoon. The Emily Moon River Lodge is made up of secluded lodges which are all individually decorated. The property is 7 km from the lush green areas of the Roberg Nature Reserve. The accommodation at the Emily Moon River Lodge all features private bathrooms and large balconies, with full views of the surrounding area. The units also include a fireplace, seating area, satellite TV and a minibar. Free WiFi is available in the public areas of the Lodge. The property features an on site restaurant, where guests can enjoy both typical South African cuisine and international dishes. Among the activities that guests can enjoy nearby are canoeing, mountain biking or whale watching. The property is 2 km from Goose Valley Golf and an 8-minute drive from the Turtle Creek Golf Estate, which golfing enthusiasts can enjoy. It is a 12-minute drive from the Gums Private Nature Reserve Emily Moon River Lodge is a 20-minute drive from the Plettenberg Bay Airport. Backpackers Beach House Lodge is situated along the Garden Route and lies on Plettenberg Bay’s, Hobie beach. It boasts an outdoor swimming pool, a bar and terrace. Individually decorated units feature a wardrobe and tea-and-coffee-making facilities. Some rooms offer a private balcony with views of the sea. All rooms feature a flat-screen satellite TV. Backpackers Beach House serves breakfast upon request and guests can make use of the barbecue facilities. A number of restaurants serving a variety of local and international cuisines can be found within 1 km. Guests can relax in the spacious lounge or on the terrace which offers views of the garden and pool. Nearby activities include golf, yachting, surfing and a variety of watersports. Beacon Isle lies adjacent to Hobie beach and is within 2 km. The Goose Valley Golf Estate is a 10-minute drive away. An airport shuttle can be arranged upon request and WiFi is available at an additional fee. 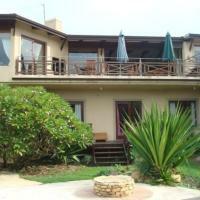 This self-catering holiday home in Plettenberg Bay is located 5 minutes’ walk from the beach. It offers an outdoor pool, children’s playground and barbecue facilities. Furnished with a cosy décor, the unit comes with a patio, dining area, fully equipped kitchen and lounge with a satellite TV. Each of the 2 bathrooms is fitted with a shower. For a fee, guests can access the tennis or squash court. A mini shopping mall is situated a 5-minute walk away. Free private parking is possible on site.